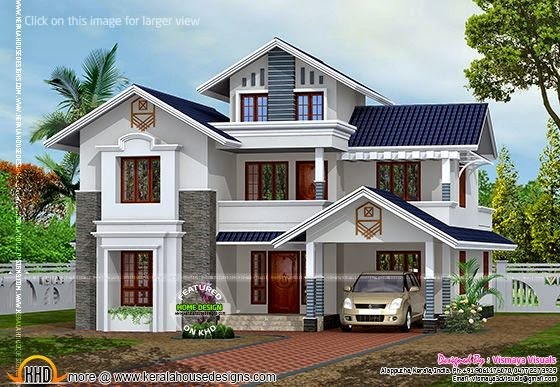 2239 Square Feet (208 Square Meter) (249 Square Yards) beautiful house plan in Kerala. Designed by Vismaya Visuals, Ambalapuzha, Alappuzha, Kerala. Ground floor : 1335 sq. ft.
Total area : 2239 sq. ft.